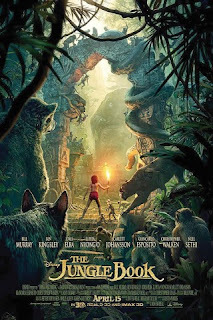 Jon Favreau’s live-action remake of the 1967 Jungle Book follows Mowgli, a young boy raised by a pack of wolves after being found alone and orphaned in the jungle. His new family is resolved to raise him “the wolf way,” but it becomes increasingly evident that Mowgli has his own set of skills and shortcomings. However, things really take a turn for the worse when Shere Khan, a tiger dedicated to eradicating humans from the jungle, learns of Mowgli’s existence. With this threat on the horizon, Mowgli’s faithful companion, Bagheera, decides it’s necessary for Mowgli to return to his own people in the “man-village.” But as someone who’s spent his entire life in the wild, Mowgli first has to come to terms with who he is and what he truly wants. The Jungle Book has an array of prominent actors, including Idris Elba as the tiger Shere Khan, Bill Murray as the bear Baloo, Ben Kingsley as the panther Bagheera, and Christopher Walken as the orangutan King Louie. Idris Elba’s sinister portrayal of Shere Khan was easily the most memorable; there’s a certain cuckoo scene that gave me chills just because of the tense, ominous atmosphere that Elba brings. However, my favorite character was definitely Raksha, Mowgli’s selfless wolf-mother. Her love for Mowgli was endless, and Lupita Nyong’o brought a special sort of tenderness into the role that few others could. Scarlett Johansson even makes a tiny appearance as the snake named Kaa, which is unfortunate because it only leaves you wanting to see more. The sole performance that wasn’t quite up to par was that of Neel Sethi as Mowgli. Of course, I can’t be too hard on the kid considering he’s twelve, but when you have such an all-star cast led by such an inexperienced actor, it’s going to stand out. Still, Sethi mostly fit the part for his innocent, animated counterpart, and I’m sure his acting ability will grow with practice. Overall, the visuals were great. The animals looked fantastic, and while the forest was a little too pristine to look realistic, this might have been an artistic choice to make it feel more like the animation. On a similar note, I’d advise this movie to anyone that loved the older 1967 version, because the creators tried to keep it very close to the original plot. There were, however, a couple key differences. For the most part, the new Jungle Book was more mature than the original, in that various animals died or were injured. Other differences included the wolves, which played a much bigger role in the new version, while Kaa’s part was much smaller. And, though there is some singing in the new Jungle Book, it’s not as prevalent as in the animation. All in all, the movie has portions for everyone. The singing definitely gears it towards a younger audience, but the mature themes give it enough meaning to hold the attention of older viewers.